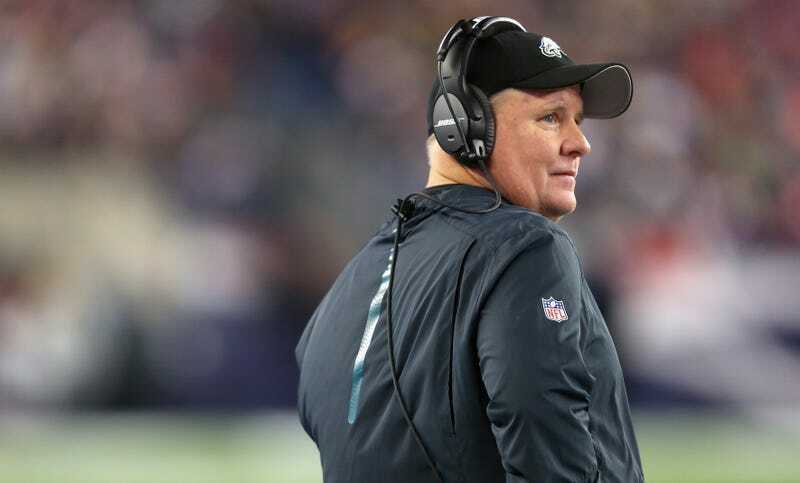 According to separate reports from CSN Bay Area and ESPN, former Eagles coach Chip Kelly met with the 49ers yesterday about their own vacant head coach job. It feels like the perfect match, if you’re rooting for the franchise to implode. It was Kelly who reportedly first reached out to the Niners earlier this week, so the interest appears mutual. And the best-case scenario is obvious: no one doubts Kelly’s schemes, play-calling acumen, or ability to get the most out of a questionable quarterback. If he can restrict himself—or be restricted—from messing with the roster, the Niners could conceivably rebuild that roster around Kelly’s strengths and perhaps go forward with Colin Kaepernick. The worst-case scenario is clear, too. This is a team that has suffered from a string of poor drafts and deal, has alienated players and chased away coaches, and gone from a championship contender to an aimless afterthought in record time, and almost all of that can be traced to the ongoing battles and power struggles between ownership, management, and coaches. Add to that mix Kelly, who seems despised by a number of his former players, and who lost his last job because of his actions following his own successful power grab. This team might be better off if the San Andreas Fault opens up and swallows Levi’s Stadium.